Jennifer Lynn Schneider's running times would be impressive for anyone. But these results take on a special meaning for Jennifer, who is using running to help her recover from a serious drug habit. Running is helping Jennifer Lynn Schneider distance herself from her five-year methamphetamine addiction. A big part of her life now is measured in particular numbers: kilometres, calories, hours, minutes and seconds. "The runner's high makes me feel like I can accomplish anything," the runner told CBC's Out in the Open producer Debbie Pacheco, who joined Jennifer for a run in her hometown of Guelph, Ont. "And I don't have to worry about other things and recovering and all this stuff. So I eat better, I sleep better, I don't have time to hang around anybody, so therefore I can't be susceptible to using. Because I can't go see too many people, therefore I can't get mixed up with the wrong crowd." Jennifer started using crystal meth five years ago, when a friend offered her some while camping. It got to a point where she used every day, sometimes more than once a day. Jennifer called herself a high-functioning drug user. She diligently went to work and paid her bills. She was a personal support worker, caring for a man in a wheelchair who needed help living independently. The runner now believes her job kept her from surrendering to substance abuse completely. "If I knew I had to work, I kept it very minimal or I didn't smoke on those days," Jennifer explained. "So those days kind of kept me sane." In the midst of her addiction, Jennifer spent eight months homeless. She still kept her job and even went to the gym. It was during that time that she took up running—out of necessity at first—and found out she was good at it. "I had half an hour to get from the gym to my boss's house, which was 6.5 kilometres, and I had my 'pack... I floored it with a 30-pound 'pack, went into work, and I was huffing and puffing." Jennifer told Debbie. "And at that point I knew I had the endurance and strength to do anything." Jennifer started running regularly. She would often train by running through downtown Guelph, passing other addicts so they could see someone like her—a familiar face—in recovery. 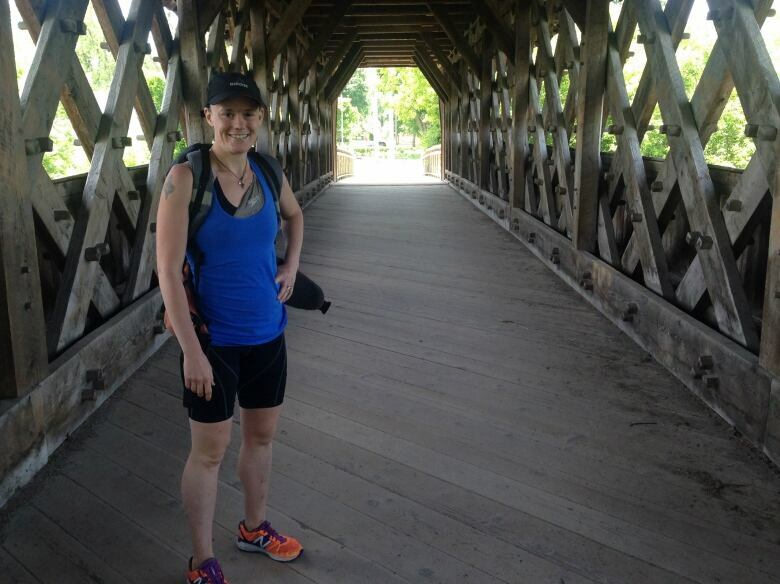 Last year, at 29-years-old, Jennifer ran her first marathon, the Waterloo Marathon. She finished in just three hours and 29 minutes and qualified for the Boston Marathon. Her time would be an accomplishment for any runner, much less someone trying to kick a drug addiction. But the greatest thing for her is that her dad got to see her sprint to the finish line. Even after finding her passion for running, Jennifer has relapsed several times. 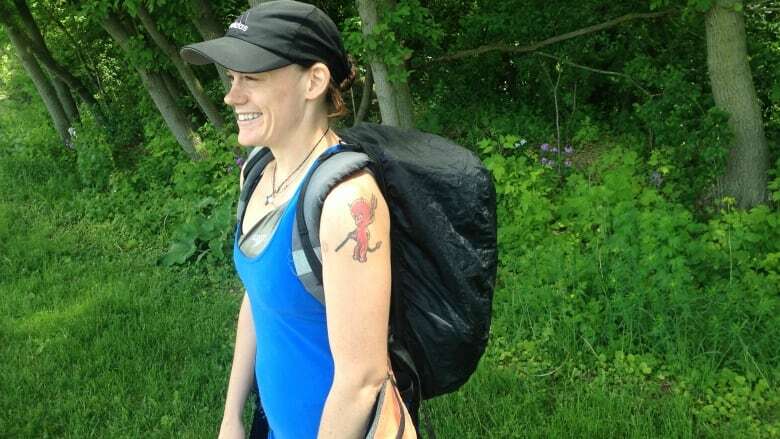 Her last relapse was in late 2015, just a few months before she was supposed to do two marathons in less than a week—the Boston Marathon and her second attempt at the Waterloo Marathon. "It's not that easy not relapsing. It's part of the addiction. You just have to take something from every relapse and you have to get stronger from it," she said. Jennifer said she's been clean since the beginning of this year. She ran both marathons she planned to take part in, but 2016 hasn't been an easy year for her. Among other curve balls, she was hit by a car a few weeks before she had to run in Boston and Waterloo. "It's been a hard struggle, because I've craved [the drug] more and more. This year has been a very traumatic year for me, and it's been really hard to say 'no' [to] it," Jennifer said. Jennifer has a new ambitious goal: running her fourth marathon of the year in October. She's also doing a run with her father, which is a big deal to her. "I get to train my father to do a one-mile! And he just sees how much joy it brings me. I will be way ahead of him, mind you, but I will come back and get him," she said, laughing. "That makes me very happy. So every time I run now, I think about that."